Collect all of your favourite Turtle characters! Figures include their signiture weapons and bandana.Each figure has more than 12 points of articulation and is a perfect replica of the characters in the show. This toy costs approximately £7.99 (for the latest and best prices make sure you check our retailer list for the Turtles Action Figure Mutangen Ooze Donatello above). 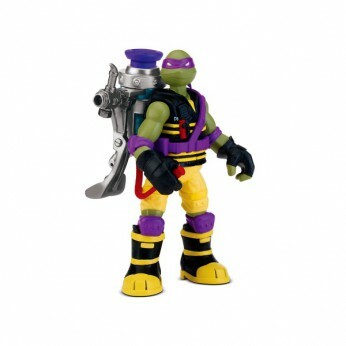 In our review of Turtles Action Figure Mutangen Ooze Donatello we classed it as being suitable for ages 4 years, 5 years, 6 years, 7 years, 8 years but recommend you check the manufacturer specific advice before purchasing.